An image gallery is a great of showing off high quality images on your site. 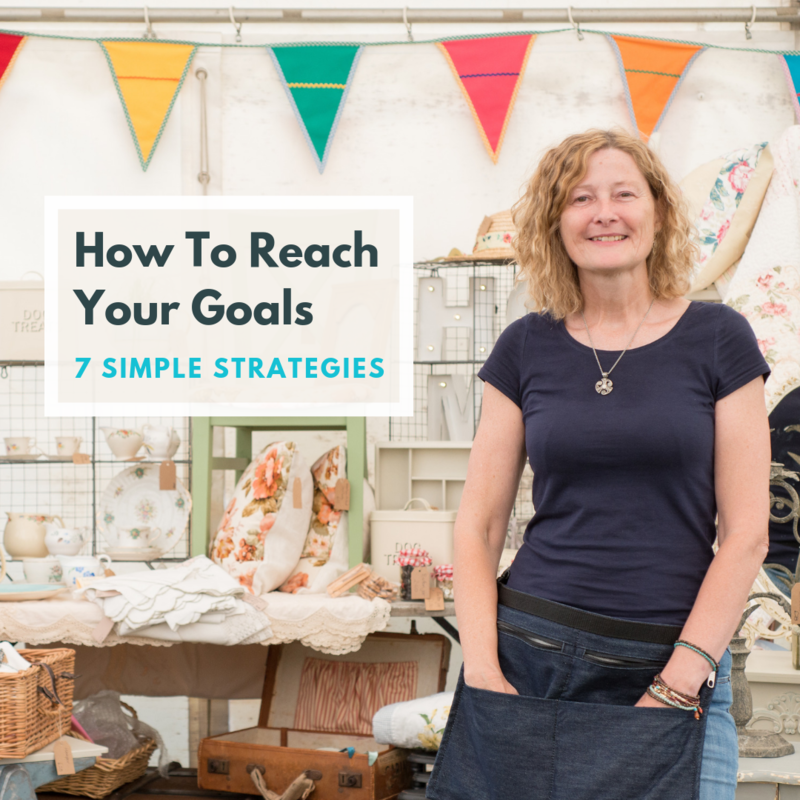 You could use it to show your shop products, photographs you've taken, and many other things relevant to your business. 5. Drag and drop the Image Gallery content block found in the Images group, onto the desired area on the page. 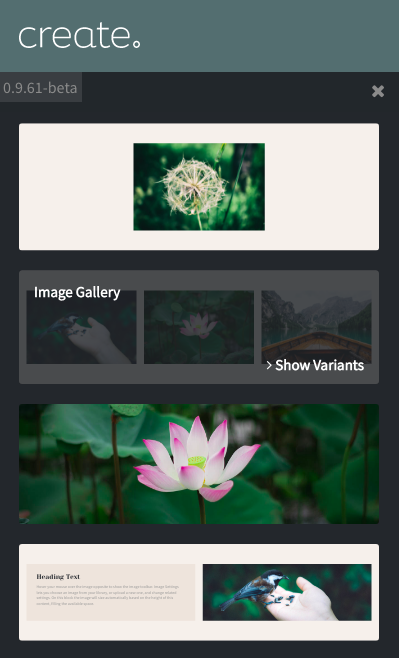 You’ll notice that before dragging the content block onto the page, you are able to select between a variety of different image sizes by hovering over the block and selecting ‘Show Variants’. If you hover your mouse over the image and click Image Settings you will be presented with the above box. 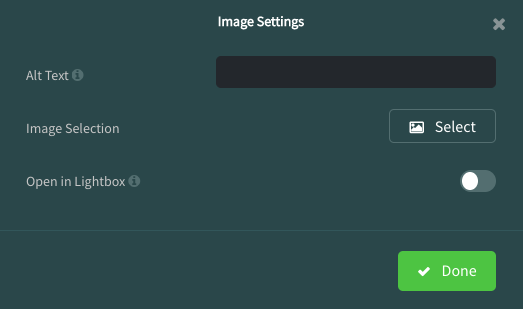 To add an image, you can click Select next to Image Selection to either upload an image from your computer or choose from an image you have already uploaded to the Images area of your Create account. Once you’ve added an image, you can add some text into the Alt Text box to describe the image. 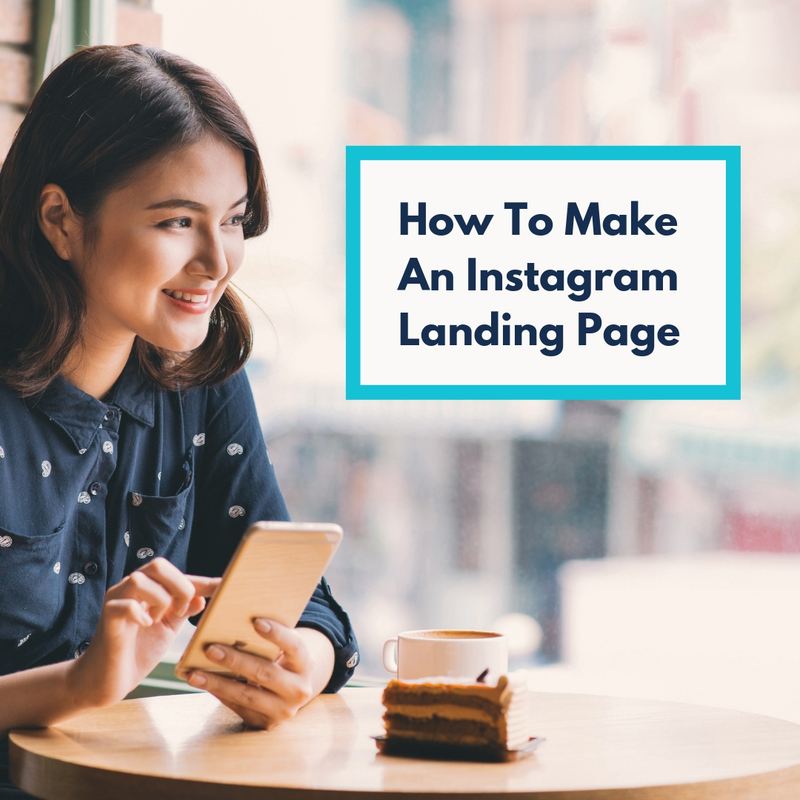 Because Google and other search engines can’t see images, they rely on alt text to tell them about image, so make sure you write a short descriptive sentence for each image you upload. Lastly, the Open in Lightbox setting means that when a user clicks on an image in your gallery, this will expand the image to full-screen. You can choose to have the function turned on and off by toggling the switch. For more information on creating and using slideshows, please see our guide "How do I create an image slideshow? ".